Great look at a movie background and the moral of "Groundhog Day"
This 25-minute short is an exceptional backgrounder on a movie. 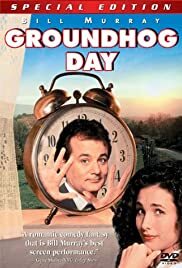 "Groundhog Day: The Weight of Time" has some of the usual film clips from the original movie ("Groundhog Day" of 1993). But it gives more detail about the filming of repetitive scenes in the film. That's great insight in filmmaking, especially seeing the changes in a character over time. For instance, the repeated scenes of Bill Murray (Phil) and Stephen Tobolowsky (Ned "Needle-Nose" Ryerson). In each succeeding one, Phil reacts differently when he meets Ned on the street. At first, he's irritated again at being stopped by this guy. Then he changes to anger when he punches Ned out. Then Phil moves to humor and finally to friendliness. This short has interesting commentary about the plot and the idea behind it. Danny Rubin, who wrote the original story, gives his perspective, saying that he had envisioned Groundhog Day repeating for Phil over a very long time - many years. That would make sense and would allow for all the changes in Phil and his learning French poetry, to play the piano, and having so many different encounters with people in the community. Rubin and Harold Ramis, who co-wrote the screenplay with him, talk about the need for a hard-nosed, self-centered, egotistical person like Phil to change. Others interviewed in this short are producer Trevor Albert, Tobolowsky and actress Andie MacDowell, who plays Rita in the movie. Here are some more snippets from this interesting and entertaining documentary. Rubin began the story in the middle and then had it looking back on the earlier parts. Ramis thought the audience would miss the significance of the repeated days by not seeing the beginning of the story, so they rewrote it based on that. Ramis says, "So people wouldn't feel cheated of the time repeats." The actual Groundhog Day observance in Punxsutawney, PA, takes place away from the center of the town. They wanted the flavor of all the people, so they found the ideal shooting location in Woodstock, IL. When they set up to begin shooting, Bill Murray bought 500 Danish pastries at the local bakery and passed them out to the local people and spectators who gathered to watch the shooting. The shooting day at Gobbler's Knob was bitterly cold. Again, they shot the repeat sequences of the film one after the other there. So, the same cold conditions, lighting, peoples' clothing, etc. would all be the same when the day is repeated throughout the movie. Bill Murray clearly showed the weight of time on his character, Phil. "How long did it last?" Rubin asks. "Um, it really didn't matter to me. I just knew it had to be a really long time." Ramis says, "In Danny Rubin's original script, when Danny and I talked about it, Danny imagined him living his day over and over for thousands of years." 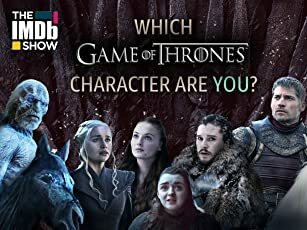 Rubin says, "We're not going to believe that he's going to actually change the person that he is just based on a little experience. We have to feel that it's because he can live forever that he changes." So, Ramis says, "He goes from being a prisoner of that time and place to being a master of that time and place. It's not about being the hero of the town. It's about doing what you can do in the moment to make things better instead of making things worse. If other people interpret that as you being the god of the town - which, in a way, he becomes, so be it. But that isn't his aim." Ramis adds, "He stops worrying about himself all the time and then starts living a life of service to others. Then... his life gets very full and rich indeed. He embraces where he is and what he can do." Rubin comments on the closing scenes. "The greatest gift for him is becoming finite," he says. "He's gonna die. He's gonna age. Time is gonna go on but now his key is to use his time well. And to begin that journey of time, he wakes up and he's with his beloved." Ramis says most people, in life have similar experiences. "You are experiencing the same thing that the character is. And you are going through the catharsis of realizing that your life's pointless and then emptying out completely and then rebuilding again and seeing that your life does have a point." Ramis says, "I think what Danny and I both wanted to say with this movie was, you know, you can live better. You can have a better life. People can change, you know. And when you do change, you get these rewards that you think you want from life." Rubin says, "There are a lot of, I guess you call them, existential issues - issues dealing with human existence which are common to everybody that are largely untapped in cinema. It's just a whole area of thinking about the world that people don't do." Trevor Albert, co-producer with Ramis, says, "There's this double-edged sword when you find something extremely interesting, that it may be too interesting for, you know, the main stream tastes of Hollywood. And that was sort of the case with this script... Even though the script was fascinating and interesting and about lots of things, most people's eyes glazed over when I even would discuss it. Luckily, I have a partner, you know, who's got a great imagination and I called Harold, and I said - and I don't often do this, I said, 'This one you have to read.'" Ramis says, "I was totally engaged right from the beginning."